So much sap and a lot of fake coins. Previously on The Four… catch up with episode 32 recap! The power of love is certainly strong because Li Mo continue to hold Leng Xue through the night until he finally wakes up. As he gets up, Leng Xue spiels more sappy words about how she is his lucky star and what not. The moment does not last because Mrs. Dao breaks in to deliver a letter from Ji Yao Hua and to announce the latter’s departure. 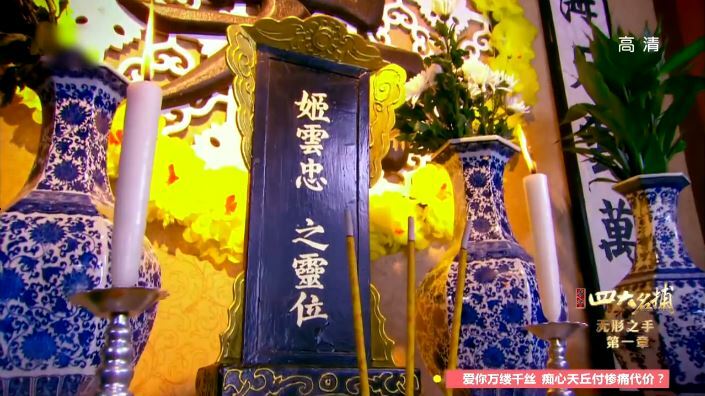 The letter basically details how Ji Yao Hua had hoped to earn his love through caring for him, but alas it did not work. She ends with “people who use deep emotions are always without regrets.” Ok, you are totally going to come back and become some backstabbing psycho, just watch! It never ends this easily. Zhui Ming and Wu Qing are out at a restaurant when they spot two shady men doing some sort of exchange. They follow the guys to an abandoned house to find a chest full of counterfeit coins. So they confront the men, demanding to know what’s going on. The two men make a run for it and Zhui Ming chases closely behind. However, he only finds the two men dead in the middle of the forest. 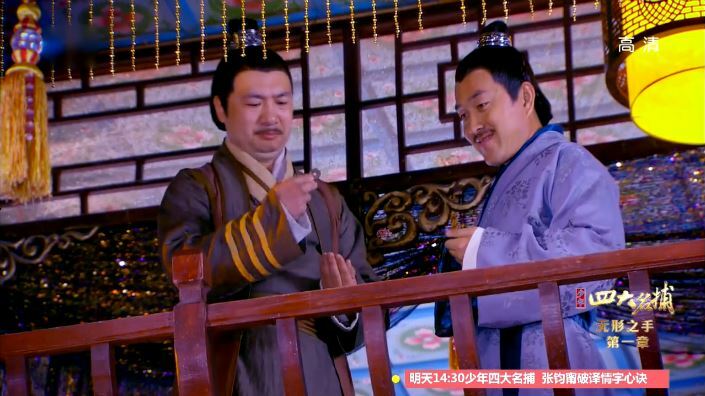 Zhui Ming and Wu Qing bring some of the coins back to Zhu Ge, who makes the decision to destroy them right away. Everyone is confused as to why, but Zhu Ge explains that they aren’t allowed to inspect cases right now so if they get caught they will be in big trouble. Furthermore, this whole thing might be a ruse to get them to break their suspension in the first place. The next day, Zhui Ming happens upon three people in front of the bank causing some sort of commotion. Apparently these three wanted to deposit some money but the bank claim their money is fake. The three don’t agree with this assessment so they ask Zhui Ming for help. Zhui Ming takes one coin from each ,an to examine, but gets interrupted by the timely arrival of Chun Tong and the Six Doors. Chun Tong threatens jail time, leaving Zhui Ming no choice but to depart. Zhui Ming brings this news back to the others and Zhu Ge deduces that whoever is behind it all wants the whole city to be in an uproar. However, what he is worried about the most is still Leng Xue and Li Mo. 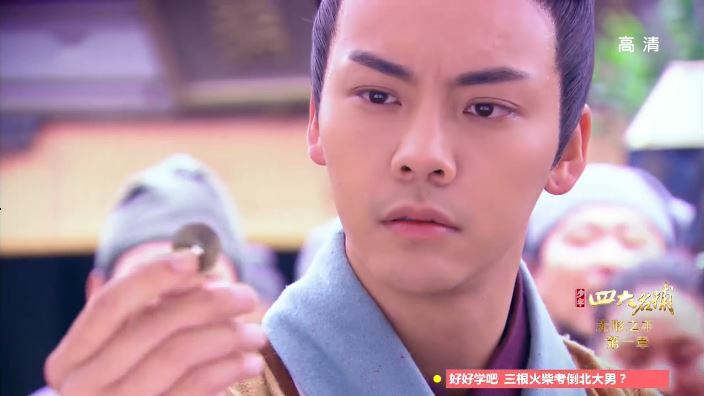 Wu Qing offers to look for them, but Zhu Ge sends Zhui Ming instead, leaving Tie Shou and Wu Qing to figure out the whole deal with the coins. Meanwhile Ji Yao Hua has returned to the city to …erm buy a coffin for herself. The storekeeper carefully inspects the coins she gives him, prompting her to inquire and subsequently learn of the counterfeit money. Just then, another store employee asks the storekeeper to attend the funeral of a Mr. Ji, the person in charge of minting coins. Suddenly it dawns onto Ji Yao Hua that they are talking about her dad. 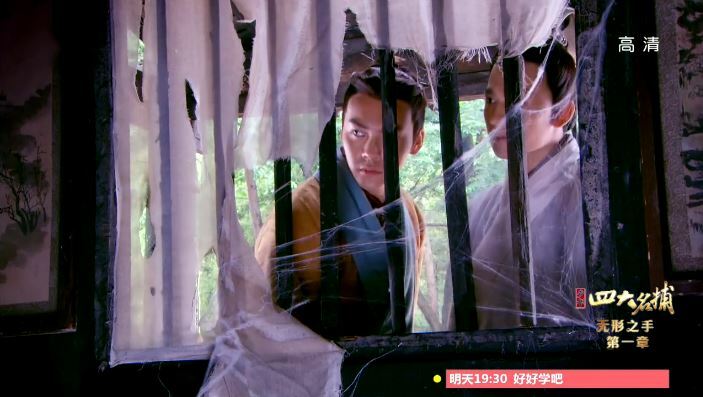 Ji Yao Hua dashes home only to confirm the terrible truth. What is worse is that her father apparently committed suicide after some inspectors came to ask him about the counterfeit coins. Now that he is dead, everyone is saying that he died because he felt guilty. Geez. Talk about a hit to the heart. 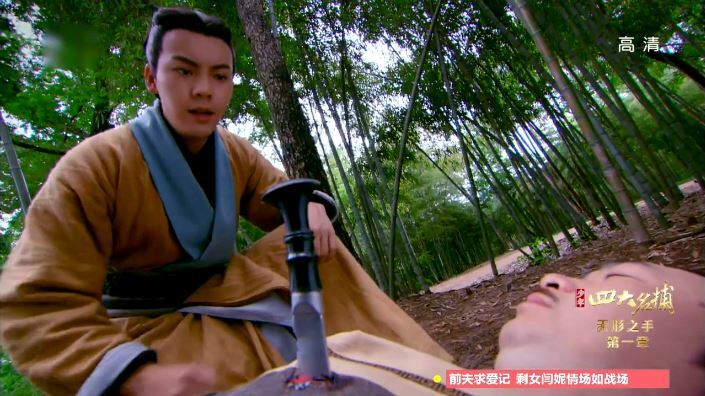 Ji Yao Hua faints from sadness and when she comes to she is faced with ASG. For some strange reason she doesn’t know who he is and he has to explain his identity. After some exchange of heated words, ASG starts to seduce her with their shared misfortune in love. I can’t believe she is buying this and is actually wavering when he tells her that he is just trying to help. Haven’t had enough? Click for episode 34 recap! When Li Mo and Leng Xue are about to depart, Mrs. Dao gets all sentimental about how they showed her true love. This women is weird and confusing. Tie Shou and Yi Yi visit the mint. Tie Shou is able to collect some to sample, but it looks like Yi Yi is going to get caught!